For blind or visually impaired people, simply checking the time can be difficult. Those without sight problems may take the freedom of glancing at clocks and watches for granted. Not realize that being unable to stay informed of the exact time is a bigger hurdle for blind or visually impaired people than it should be. While modern gadgets (smartphones, tablets) can tell you the time upon request, people with sight restrictions should still have the option to wear a quality watch catering to their exact needs. It’s much more convenient than having to take your phone out and accessing the right function each time, especially if you’re using it for another task. 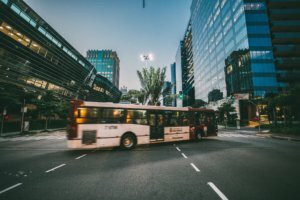 RightHear’s team is committed to helping blind and visually impaired people navigate indoor and outdoor environments far more easily, safely and conveniently. We know accessible timekeeping is vital too, so to help you, we explore the top 3 watch brands catering to blind or visually impaired users below. Eone was launched by Hyungsoo Kim, inspired by a blind friend’s difficulty in staying informed of the time. He felt self-conscious using his talking watch in lectures and relied on Kim instead. As a result, Kim established Eone to give blind and visually impaired people more freedom in their choice of timepiece. Their signature watch is the Bradley: this elegant piece allows you to tell the time by touching the raised markers on the face. Hours and minutes are tracked by two ball bearings circling the face in recessed paths. The Bradley is an innovative watch that delivers a unique way to stay connected with time in a tactile way. Multiple designs are available. Time Optics has an extensive selection of quality talking watches. Their range is aimed at people of all ages, from kids to the elderly. The designs are elegant and sophisticated, with ladies and men’s watches in traditional styles and their ‘time teaching watches’ can help children develop their time-telling skills, and boast colorful designs. Time Optics offers a watch-setting service too, so your timepiece will arrive set correctly. This brand has developed the Unique Custom Tooled Talking IC Watch Chip too. This includes a Dual Voice and an alarm, enabling both a male and female voice to announce the time, day, date, month and year. Low vision watches are built for easy-to-see convenience, featuring a strong contrast between the numbers, hands and face background. Sometimes, you will have multiple appointments or commitments in one day. While you may be able to set a single alarm on your watch, what do you do about remembering the rest of your responsibilities? 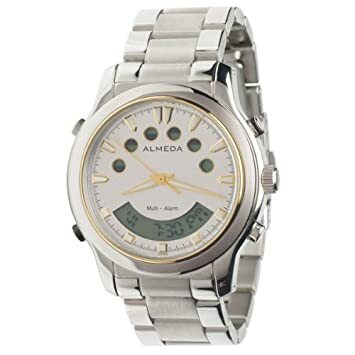 Almeda produces watches featuring six alarms, catering to people affected by blindness or visual impairments. To maintain your discretion, though, Almeda’s timepieces notify you via vibrations rather than noisy alarms, keeping you aware without drawing attention to yourself. On top of this, they focus on style and modern design, suitable for casual, formal and other occasions. 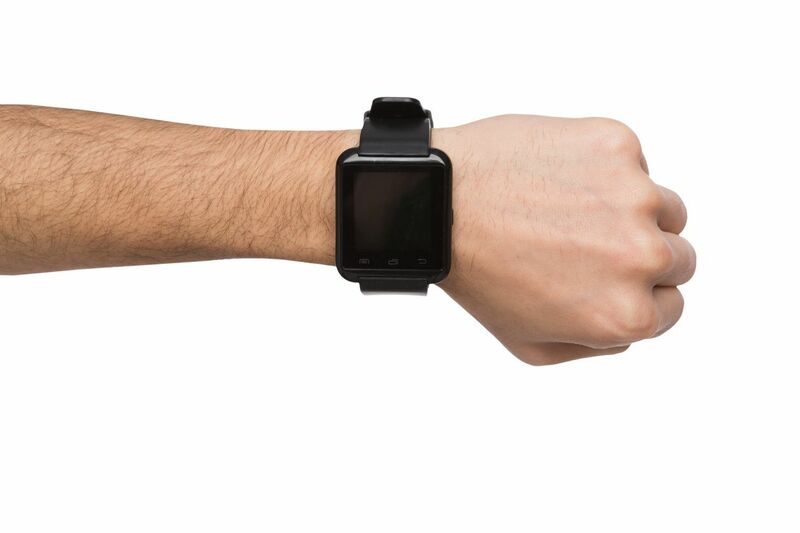 The Dot Watch is the first braille smartwatch, that was released in December 2016 and bringing modern innovation to the visually impaired. The face features 24 shifting dots that are powered by magnets and electrical signals and linked to a smartphone via Bluetooth to display time, text and app notifications. Dot not only revolutionizes bulky, expensive machines but it provides the freedom of a wearable many sighted people enjoy. 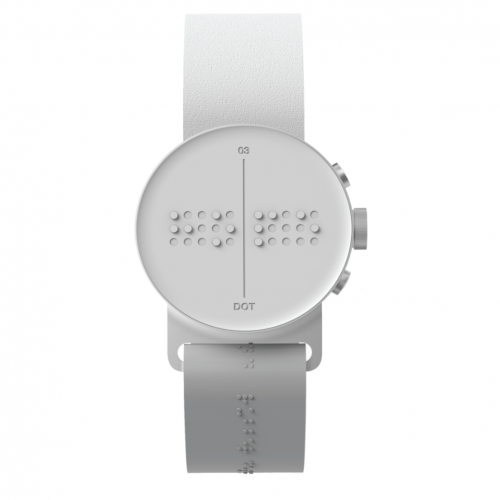 The Dot Watch unleashes it’s full potential to those who can read Braille. But it’s also the perfect device to getting started: The Dot Watch Braille learning program is a simple, intuitive and entertaining way to learn and practice Braille letters and words. The right watch with the right features can make a significant difference to your timekeeping. Have you had a positive experience with any of these brands? Share your stories below! 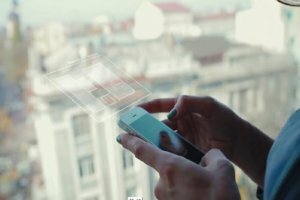 Why are Indoor Navigation Apps for Visually-Impaired Users So Important Today?